Fear is everywhere. It’s in our politics, social media, the news, advertising, and even in your home. It’s in the commercials for home security systems and it’s in the way we’ve been parented or taught that without a college education we are destined to fail. You cannot escape fear. It’s a natural (and sometimes healthy) human response to stress or danger. But, when fear takes over our lives and clouds our decision-making ability or stings us into paralysis, the effects can be devastating. We all fear something — public speaking, asking for money (or help) from another, loss of social connection, or simply that we will waste our time. When we make decisions out of fear, they are usually short-sighted. We aren’t taking the big picture or long-term strategy into account. As a business owner, musician, minister, marketer, life coach, father and husband I encounter fear every single day. Below, you’ll find a little trick that I use to overcome mine when nothing else works. It’s a slightly modified version of an actual method of fear (and anxiety) management used by the U.S. Navy Seals. I figure, if it’s good enough for people fighting shoulder-to-shoulder with their friends and loved one, risking life and limb in the line of fire for a higher purpose, it’s good enough for me. Begin by doing some goal setting and grounding. Find an anchor (friends, family, faith) and connect to it. Remind yourself that this is why you wake up in the morning. Remind yourself of your purpose — that this is why you are on the planet, to do the actual work of serving, creating and connecting. You may envision yourself surrounded by “tent stakes” in order to define a boundary. These stakes can always be moved. Project yourself into the future. Envision where you want your “tent stakes” or boundaries to be in 3 years. Who is a part of your tribe or camp? Who are you serving? How big is your network? Your world? How does it feel to inhabit that future state? Lock in that feeling. Mental rehearsal is key. This is how we short-circuit or defuse any potential surprises. Visualize the situation that elicits or triggers your fear the most and try viewing it from multiple perspectives. Repeat it over and over again. Break your established pattern by responding differently each time. What if this happens? What if this doesn’t happen? Know the actual risks — death, injury, embarrassment, disappointing someone, stumbling, being heckled, etc. — and what you would do in that situation. Have a plan A, B, C, D, etc. Run the scenario using different characters and voices. You may even act it out or use different media (paper, clay, puppets, dolls, action figures, etc.). Remaining calm in the face of fear eventually and inevitably comes down to arousal control. Slowly inhale through your nose. Slowly exhale through your mouth. You may regulate your breath by counting 1-2-3-4 on the inhale and 4-3-2-1 on the exhale or inhaling through one nostril and out through the other. Some people may need to increase their energy and this may mean sustained activity or faster (not slower) breathing. What you’re looking for (fast or slow) is to be in control of the rhythm, frequency and vibration of your physiological state. This is the moment of action. Step into that moment confidently and fully-prepared by enacting or embodying that future version of yourself. How would they stand, walk, speak, run, use eye contact or body language, engage and interact with others? Pretend you are wearing that future version of yourself like a suit of armor. Now you’re ready to tackle your biggest fears and experiment with overcoming them. If you don’t crush it the first time, try again. If you get through it and still come out anxious and sweating bullets, celebrate the fact that you did the work and move on. With every breath, every decision and every action, we become more complex and more capable of achieving our highest purpose and outcomes. And, when we can stop making decisions or taking action from a place of fear, we can begin to really harness our personal power and leverage the entire world to meet our needs. Joran Oppelt is an international speaker, author, interfaith minister and life coach. 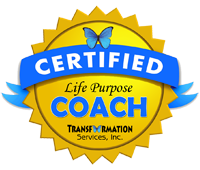 Get your FREE 30-minute consultation with Joran and see if Purpose and Creativity Coaching with Joran is a good fit or you – Get more info here.